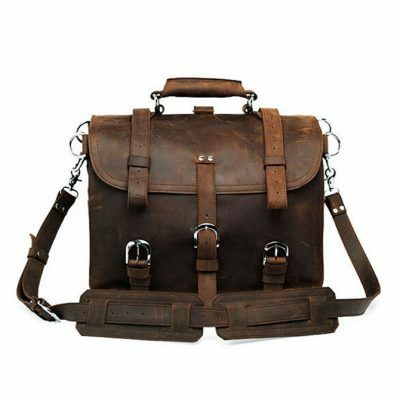 Vintage leather messenger bag, brown leather messenger bag and black leather messenger bag for sale, all these genuine full grain leather messenger bags are free shipping. 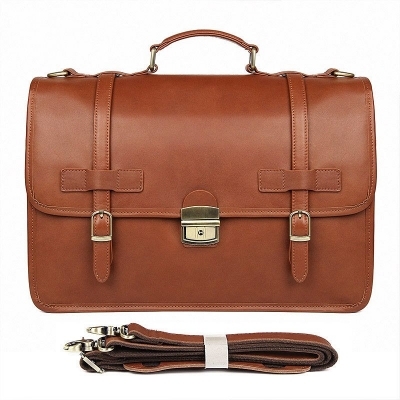 We only offer high-quality and high-end handmade leather messenger bags to our customers. 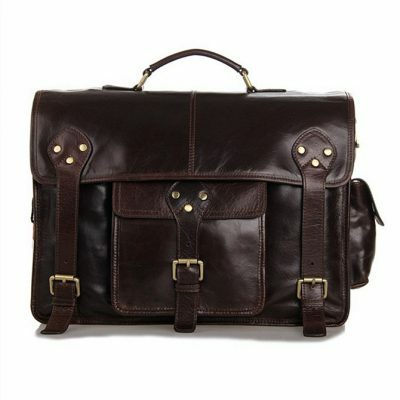 Leather messenger bags define “hip” by being a somewhat out-of-fashion statement. They look casual and trendy all at once. 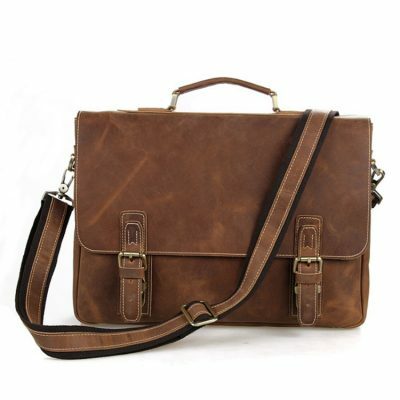 Leather messenger bags are stylish and casual. Even With just a pair of jeans and t-shirt on, a leather messenger bag fits the outfit. The older a leather messenger bag is, the more beat up and cooler it actually looks. 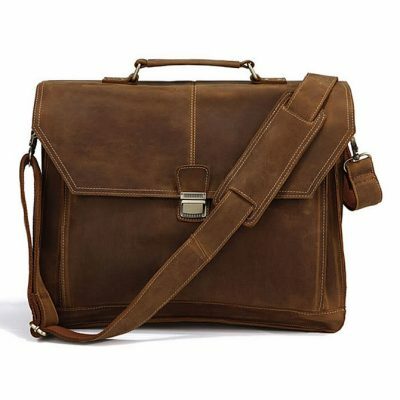 Messenger bags are a stylish alternative to the traditional briefcase or backpack for men. They are designed with a single strap that sits across the chest and can accommodate tablets, laptops, notebooks, and documents easily. In some cases, they can even replace a handbag, as they have plenty of space for a wallet, mobile phone, and other essentials. They provide quick access to your stuff, are ultra portable. As an expert in leather, VANGOSEDUN ensures our leather messenger bags come with a lifetime guarantee to share your journey of curiosity, discovery, and connection. At VANGOSEDUN, you will find the classic, stylish, elegant, noble handmade leather messenger bags, The leather we use is from cowhide, crocodile, alligator, which most imported from Argentina and Italy; leather dyes, surface treatment, and threads are from Germany and Japan; hardware is from American and Taiwan; committed to quality and individuality, every leather messenger bag is handcrafted to tough specifications. 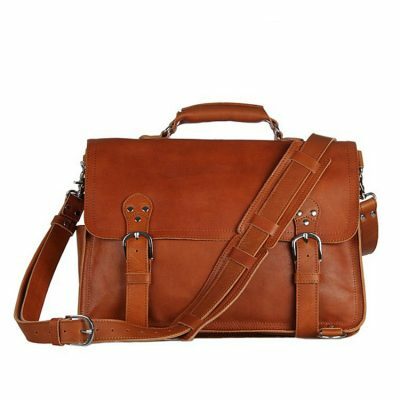 A VANGOSEDUN leather messenger bag makes it easy for you to take your work and pleasure to any new exciting or inspiring location. 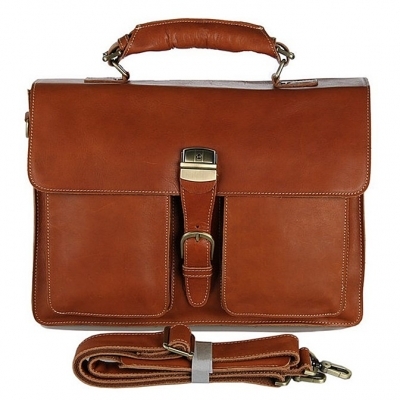 We carry a large variety of leather messenger bag available in a range of selected colors and styles. If you are looking for a messenger bag, without having to sacrifice your style, then our leather messenger bag is exactly what you need. As a company that has over 50 years of experience when it comes to producing high-quality leather products, VANGOSEDUN Leather stands apart from its competitors. Our dedication to quality is matched only by our goal to bring customers the best value for their money. 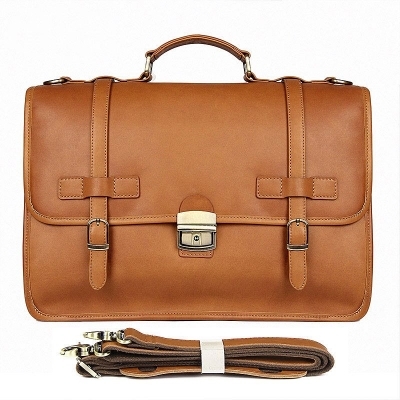 We are the only company in the industry that matches quality and value in a unique combination that allows men to purchase stylish leather messenger bags in a wide range of prices. 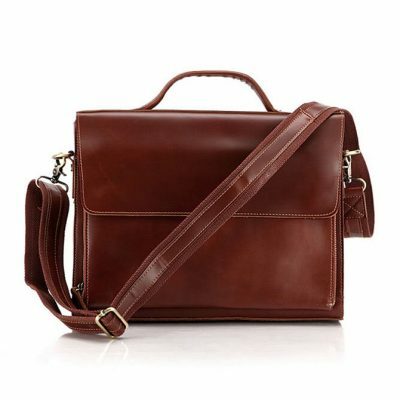 Style: The way the leather messenger bag looks is also an important point. Consider what style would best suit your own personality and image. Vintage-style designs are currently in vogue. These have a timeless appeal that still goes with today’s fast-paced lifestyles. 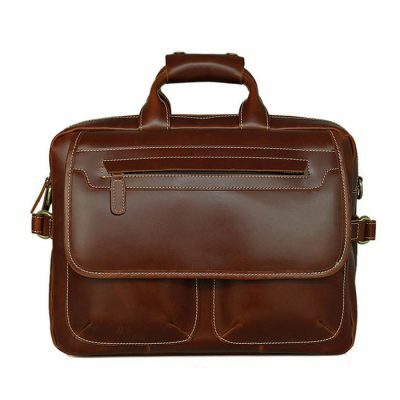 Size and Usage: Leather messenger bags come in many sizes and it is up to the user to decide which size is right for him or her. The size of the bag depends on the intended usage, so users should choose bigger bags if they plan to carry a lot of items on a regular basis. For example, if the user wants to use the bag only for carrying books, then it can be of a smaller size. 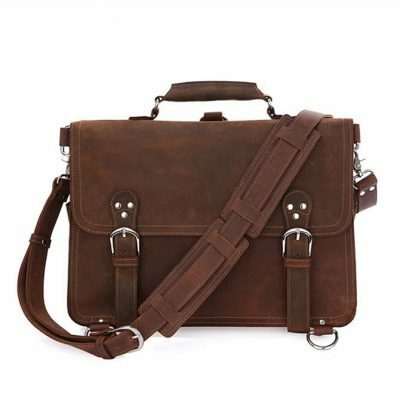 On the other hand, if the user wants to carry a laptop in the leather messenger bag, then it must be bigger. 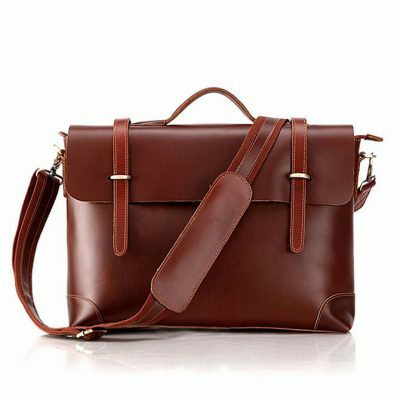 Internal Pockets: Some leather messenger bags come with many interior pockets that are large enough to hold different items, while others may have small or no pockets that will make it difficult for users to carry different items. Therefore, a user should look for a bag with numerous internal pockets when he or she plans to carry many small items, such as cell phones, keychains, wallet, pencils and pens, and so on. It is also a good idea to see if the internal pockets have a zip on them to ensure that the contents do not fall out while commuting. Color: A good tip to follow is that neutrals are going to be the best choice when you want to buy a leather messenger bag. You can choose from brown, black or gray, these colors will match with basically any outfit. 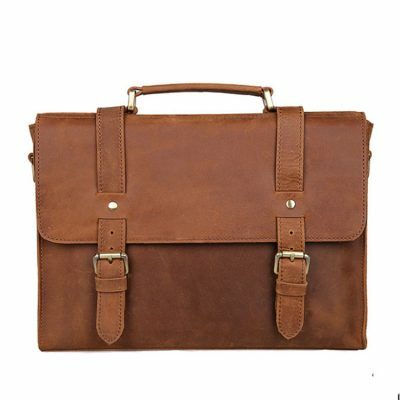 The point of the leather messenger bag is that you can wear it anywhere, anytime.
. Condition Leather Messenger Bags Regularly: Conditioning process for your leather messenger bags regularly is a manifestation of using the right kind of conditioner specially designed for leather made messenger bags. It is highly recommended for your leather messenger bags to undergo conditioning processes with the use of natural balm of leather lotion that doesn’t contain any waxes, oils or other types of harsh chemicals. This kind of conditioning lotion is known to be safe not only for your leather messenger bags but also to your hands. Be sure that the cloth that you’re going to use in conditioning your leather messenger bags will not put any unnecessary color to your leather bag.
. Remove Excess Moisture or Water Quickly: When your leather messenger bags are exposed to too much moisture or excess water, learn how to remove such type of substances as quickly as possible to prevent further damage to your leather bags. You can make use of dry cloth in blotting the leather bag but don’t try rubbing it since it may definitely affect the quality of the leather. After blotting, the next thing you need to do is to let the leather messenger bag dry for a couple of hours for both the interior and exterior portion.
. Store it Properly: All the things that you’ve done to take good care of your leather bags would be useless if you are not going to store your bag properly. So, learn how to store it properly in a clean and dry place. 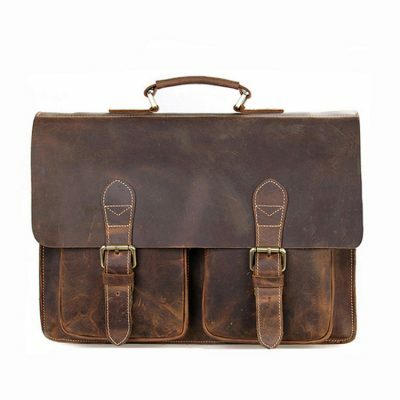 This is just to assure that it is free from dust, dirt and other forms of residue that may affect the quality of your leather messenger bag. Caring for your leather messenger bags takes time, effort and patience. You cannot extend the lifespan of your bag if you don’t know how to take good care of it. 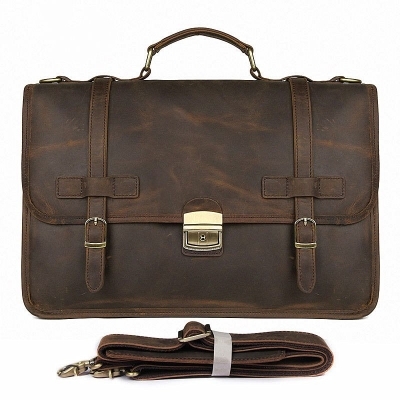 So, as early as now, try to have in mind the right things to do on how to care for your leather messenger bags. 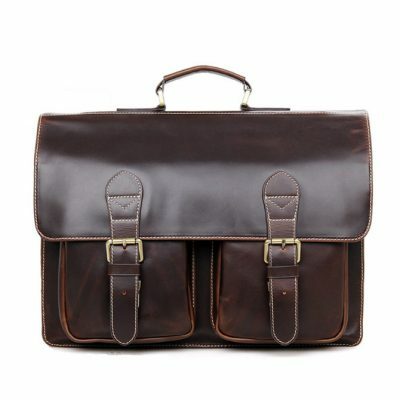 Hot search: leather messenger bag, men’s leather messenger bag, leather messenger bag for men, leather messenger bags for men, vintage leather messenger bag, black leather messenger bag, leather laptop messenger bags, handmade leather messenger bag, brown leather messenger bag, best leather messenger bag.